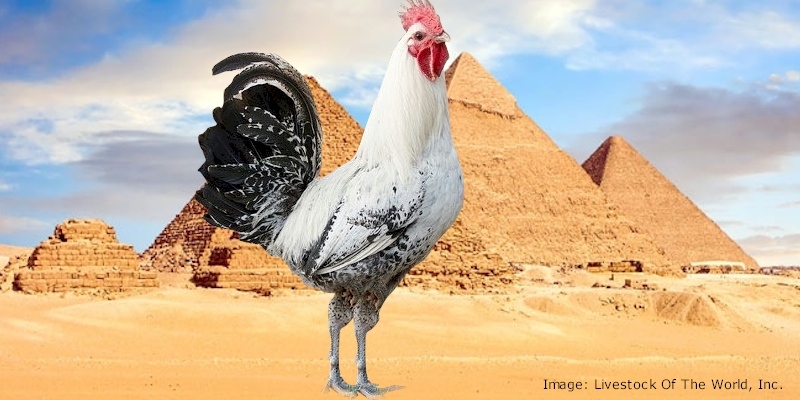 Egyptian Fayoumis are one of the most early maturing of chicken breeds: hens can begin laying eggs as early as 4-1/2 or 5 months. Fayoumis are known to be naturally resistant to Marek's Disease and to many other illnesses. However, they are normally fairly nervous in temperament, and can be feather pickers if they don't have enough room to roam. They can be territorial about their favorite nesting spots, and roosters are noisy. They are also fliers, so are not always the best choice for a backyard flock since they can and will clear most fences. With plenty of room, however, they can be a good choice for a small farm, since they are good foragers, economical eaters, independent, tough, aware of their surroundings and good at avoiding predators.